This keyboard is a great keyboard especially for those with carpal tunnel. The split design with this keyboard allows for a more natural wrist, hand and forearm position. The new curved key layout makes it easier to know which buttons are where versus your standard every day keyboard. Zoom Slider – Get a closer look quicker and more accurately with the innovative Zoom Slider which is smack dab in the middle of the keyboard. Customizable Keys – Perform common tasks, like opening documents and replying to email messages, with the touch of a button. Improved Number Pad – Quickly reach for commonly used symbols, such as the equal sign, parentheses, and the backspace key. They are now located just above the number pad. Ergonomic Design – Typing in total comfort. The ergonomic design of this Microsoft keyboard encourages natural wrist and arm alignment so you can work without discomfort. According to some studies that have been done it is said that ergonomic keyboards can help reduce the symptoms of carpal tunnel. What I like best about this keyboard is how the buttons are placed for super easy access to basically anything that you’ll need with every day computer use. The curved, ergonomic design helps those with carpal tunnel symptoms! The customizable keys are going to allow you to set up the keyboard how you see fit. Need a button to access Skype more quickly so that you can talk with your family and friends with the click of a button? Done. Need access to your e-mail in a split second? Also done. Another feature that I really like about this specific keyboard is the zoom function located right in the middle of the keyboard. IF something is looking a bit small and you’re having a hard time reading it then zooming in on that is just a swipe away with this keyboard. Microsoft has done an excellent job creating an ergonomic keyboard that looks and feels great especially for those with carpal tunnel! When you compare this to other ergonomic keyboards such as the Perixx ergonomic split keyboard or the Fellowes microban split design keyboard you’ll quickly notice that there aren’t nearly as many features and you’ll actually pay more money for them! Microsoft did a great job creating a great ergonomic, split keyboard and you get the most bang for your buck if you decide t ogo with this keyboard versus the others in the market. All in all, if you’re struggling with carpal tunnel then this is definitely going to be the most comfortable keyboard solution that you’ll be able to get your hands on in the market today. Even as compared to other solutions, Microsoft comes out on top as the best choice. Click the button below to read more as to why you’ll need this keyboard going forward! 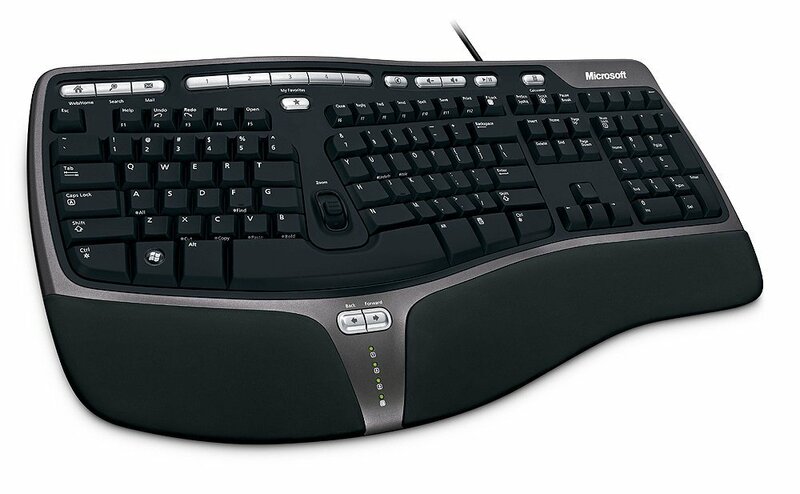 So what do you guys think of Microsoft’s ergonomic keyboard design? Is this the best computer keyboard for carpal tunnel? Tagged carpal tunnel, ergonomic keyboard, keyboard, microsoft. Bookmark the permalink. Great review. It is very important to have a comfortable keyboard and this one looks great. Love the way it twists to be more in line with your hands. Indeed Viljoen, this keyboard will ensure optimal comfortableness! Right on Eitan, ergonomic keyboards with the split design and the curvature included really does help those with carpal tunnel issues. Thanks for the comment! It’s good to have a keyboard specifically designed to help with carpal tunnel issues that’s for sure! Thanks for the comment! Great post, the keyboard looks awesome. My partner has had surgery for carpal tunnel in both wrists and they still give him trouble, though he finds swimming helps. Would have to get a bigger desk though! This a great review on what sounds like a great quality keyboard especially for the price. An ergonomic design always wins in my eyes. I agree Diondre, ergonomic designs are the way to go – basically with anything! I did not know such a keyboard existed. although I do not have CTS, this type keyboard could greatly reduce my current level of wrist and hand stress. I spend a lot of time on computer at work and home & would like to have one of these in both places. Yup, actually in my post above I stated that studies have been done that show better results for those with carpal tunnel when using an ergonomic keyboard such as the one in this post!